After hours of a neck-and-neck fight, the Congress is inching towards the halfway mark against the BJP in Madhya Pradesh. A resurgent Congress emerged victorious in Chhattisgarh and Rajasthan and became the single-largest party in Madhya Pradesh. It, however, was knocked out of power in Mizoram with the Mizo National Front (MNF) sweeping the polls. K Chandrasekhar Rao's Telangana Rashtra Samithi (TRS) secured the absolute majority in Telangana. In Chhattisgarh, where the Bharatiya Janata Party (BJP) ruled for 15 years, the Congress swept a clear two-third majority with 68 seats, against the half-way mark of 46. Likewise, in the 200-member Rajasthan Assembly, the Congress bagged 99 seats, while its pre-poll ally Rashtriya Lok Dal (RLD) won one. In Madhya Pradesh, which witnessed a long-drawn countdown to the results, Congress secured 114 seats, missing the majority mark by two seats. A decision on Chief Minister's faces will be decided today. Rahul Gandhi to decide on Chief Ministers of Rajasthan and Chhattisgarh today. Supporters of Congress leader Sachin Pilot gather outside AICC headquarters in Delhi demanding his selection as Rajasthan Chief Minister. Sachin Pilot, Jyotiraditya Scindia likely to be Deputy Chief Ministers in Rajasthan and MP respectively, say sources. Congress leaders to meet Madhya Pradesh Governor Anandiben Patel at noon, to stake claim to form government. Madhya Pradesh CM Shivraj Singh Chouhan to resign, says BJP does not have the numbers to form government. BSP to support Congress in Madhya Pradesh and Rajasthan. "Even though we don't agree with many of Congress's policies we have agreed to support them in Madhya Pradesh and if need be in Rajasthan," says Mayawati. "With a heavy heart, the public chose Congress in three states. Chhattisgarh, MP, and Rajasthan didn't give another chance to BJP," she added, while thanking all BSP workers for their hardwork and success. Telangana Rashtra Samithi (TRS) supremo and state caretaker Chief Minister K Chandrashekar Rao will swear-in as the Chief Minister of Telangana on Thursday. Read more. 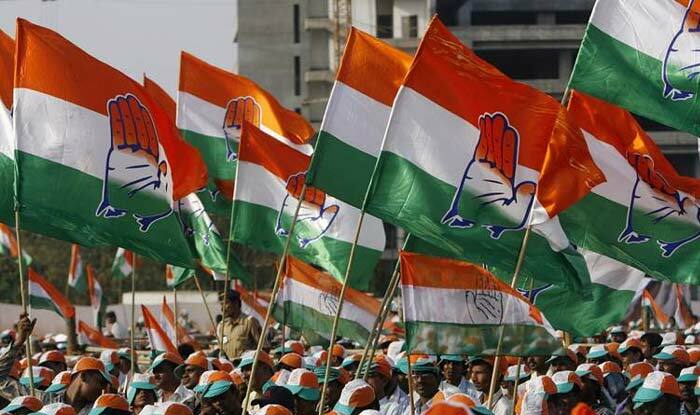 The Congress has decided to stake claim to form government in Madhya Pradesh as soon as its tally reaches 116. The party has also sought an appointment with Rajasthan Governor for 7 pm on Wednesday to stake claim for government formation. Vasundhara Raje resigns as Rajasthan Chief Minister after BJP's loss in Assembly elections. She has submitted her resignation to the Governor. Congress leaders AK Antony and Mallikarjun Kharge have been appointed as observers for Madhya Pradesh and Chhattisgarh, respectively. We ironed out our differences and worked unitedly, says Congress chief Rahul Gandhi. Loan waiver is a supportive step, it is not a solution. We will work on infrastructure and technology. To be frank, it is not an easy job, but we are determined to work for the farmers, says Congress chief Rahul Gandhi. The sad thing is Mr Modi refused to listen to the heartbeat of this country, a certain amount of arrogance came in. And this is harmful for a politician, says Congress chief Rahul Gandhi. The best thing for me was 2014 Lok Sabha elections, I have learnt a lot about things. The most important thing in this country is what the people of this country think, says Congress chief Rahul Gandhi. What we would be trying to do is we would be setting the structure and the architecture for a new vision to take this country forward, says Congress chief Rahul Gandhi. There is an issue of causing damage to the economy. GST implementation was disastrous and now the RBI chief has also resigned. There is a major economic issue facing this country under Modi government, says Congress chief Rahul Gandhi. We will fight against the ideology of BJP and will defeat them. We defeated them today and we will defeat them in 2019 as well, but we do not want to remove anyone from the country. We do not support that ideology, says Congress chief Rahul Gandhi. We have said that farmer loan waiver process would be initiated immediately if we form the government, the same will be implemented, says Congress chief Rahul Gandhi. This is a message for the Prime Minister to act on issues concerning farmers, youth and economy of the country. But the Prime Minister seems paralysed over the issues, says Congress chief Rahul Gandhi. Earlier, people believed that PM Modi would fight corruption, but now people have realised that the Prime Minister is himself involved in corruption. It can't be denied that corruption took place on the Rafale issue, says Congress chief Rahul Gandhi. The issue of EVM is not there just in India, it is an universal issue. If the people are not satisfied with the functioning of EVMs, it needs to be looked into, says Congress chief Rahul Gandhi. There will be no trouble in selecting the chief ministers, it will happen smoothly, says Congress chief Rahul Gandhi. The ideology of the Congress is same as that of the BSP and the Samajwadi Party, says Congress chief Rahul Gandhi. The opposition is strongly and uniformly united, we will fight the BJP unitedly, says Congress chief Rahul Gandhi. We need to find a strategic solution to the issues of farmers, says Congress chief Rahul Gandhi. This is clear message to the BJP and Prime Minister Modi that people do not trust them anymore, says Congress chief Rahul Gandhi. This is a victory of small businessmen, farmers and the common man, says Congress chief Rahul Gandhi. It is pretty clear that there is a feeling among the people that Mr Modi has not delivered on his promises, says Congress chief Rahul Gandhi. There is a sense among the youth that Prime Minister Narendra Modi did not fulfil his promise of job creation, there is similar feeling among the farmers, says Congress chief Rahul Gandhi. I congratulate the parties that won the Assembly elections in Telangana and Mizoram, says Congress chief Rahul Gandhi. We have a lot of work to do now in Rajasthan, Chhattisgarh and Madhya Pradesh - hopefully we win Madhya Pradesh, says Congress chief Rahul Gandhi. This is a victory of Congress workers who fought for our ideology in difficult circumstances, I want to thank them, says Congress chief Rahul Gandhi. We want to thank to all outgoing Chief Ministers for the work they did for the people of their states, says Congress chief Rahul Gandhi. There is responsibility on Congress party now that we listen to the voice of people and provide the vision that is required for these states, says Congress chief Rahul Gandhi. Congress president Rahul Gandhi addresses press conference over results of Assembly elections in Madhya Pradesh, Rajasthan, Chhattisgarh, Telangana and Mizoram. Celebrations outside Congress office in Bhopal. According to latest trends/results by the ECI, the Congress party has won 14 seats and is leading on 97 seats in Madhya Pradesh. The BJP has won on 16 seats while it is leading on 94. Before Parliament election, the polls in five states show it was a mini Parliamentary election. My greetings to all the winning parties, says DMK president MK Stalin. Outgoing CM of Mizoram Lal Thanhawla submits his resignation before the Governor, says "This is very disappointing. I didn't expect this. I think I underestimated the new formation ZPM." As per the latest ECI trends/results from Madhya Pradesh, the Congress has won two seats and leading on 111 others while the BJP has bagged nine seats and is leading on 100. The BSP and others are currently leading on two and six seats respectively. This is a grand victory. We are forming government in three states, what can be better than that? The way Rahul Gandhi ji tackled Modi ji and Amit Shah ji in Gujarat, after that graph of Congress is going up and the graph of Modi ji is constantly going down. It's a sign, says Ashok Gehlot. There will be a CLP meeting on Wednesday wherein a decision would be taken on the next Rajasthan chief minister. Thereafter, the same will be communicated to the Congress president and a final decision will be taken by Rahul Gandhi, says Congress. Sachin Pilot and Ashok Gehlot address a joint press conference after Rajasthan Assembly elections 2018 verdict, where the Congress has crossed the halfway mark. Raman Singh concedes defeat in Chhattisgarh Assembly elections 2018, saying, "We respect the mandate that the public has given. I congratulate Congress on this success. I consider it my luck to serve the public of Chhattisgarh for the last 15 years." "I take the responsibility for this defeat because the poll was contested under my leadership. We will act as a strong Opposition and work for the development of the state," he added. "I will actively participate in national politics. I spoke to other political parties, we are going to play a crucial role in national politics," says TRS chief K Chandrasekhar Rao. BJP spokesperson Sambit Patra says "We have lost three states and it is a lesson for us."